Congratulations to our youth for earning 10 medals including 2 Golds, 4 Silver, and 3 Bronze at the Premier RYC! Emily Ostrovsky did an outstanding job taking third place at her first competition. 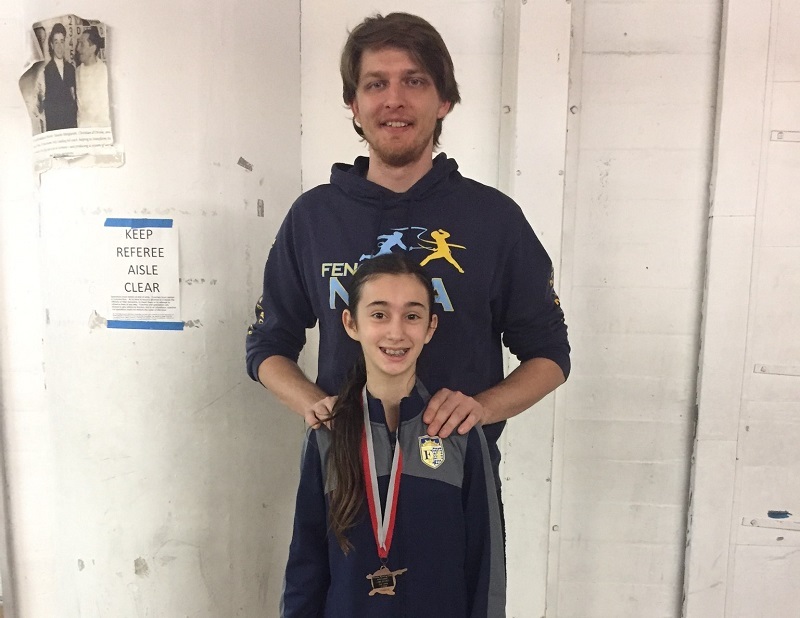 Emily managed to overcome her pool results to beat the number 4 seed in her first DE and winning her 2nd DE, making her first competition a success. Shawn Agaon also did his personal best and we are very proud of him! 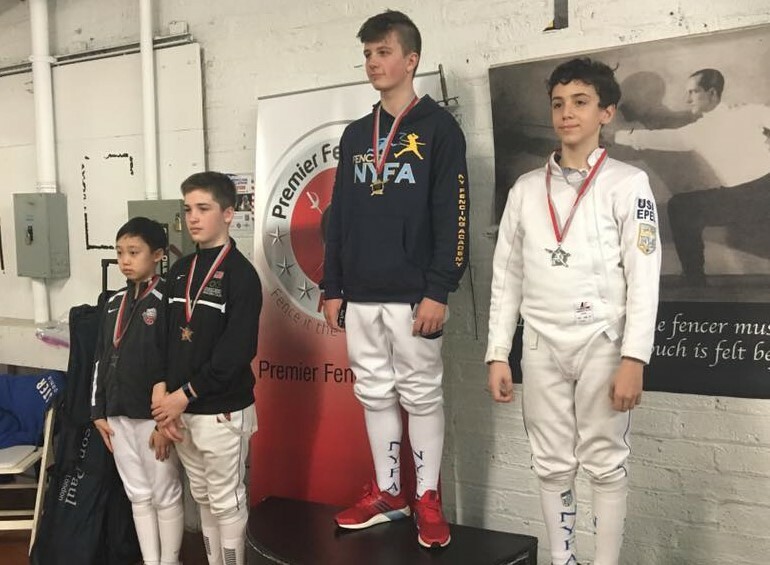 Daniel Gaidar has been training with us for only half a year and he’s already showing consistent strong results, taking gold in Y14 and silver in Cadets and earning his D2017! Surely it’s great to see Ian Goldfine winning and David Pavlenishvili taking bronze in Y12. Alan Slavinsky was one step away from winning Y14 and took silver in the hard bout. 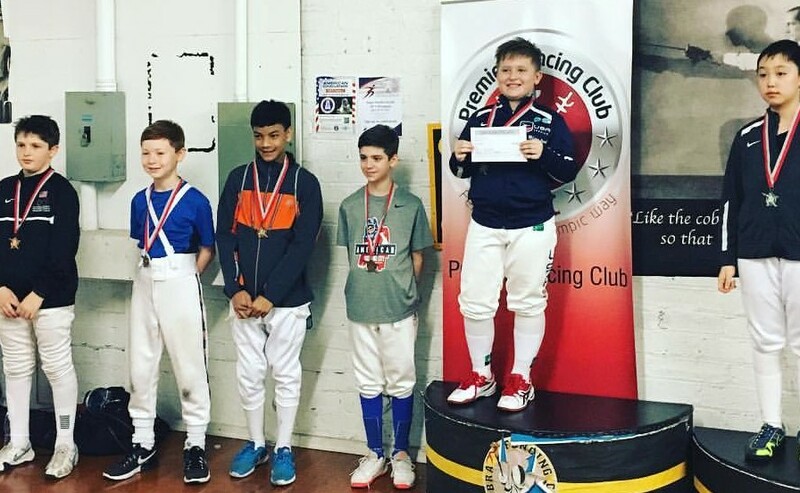 Our youngest fencers, Ethan and Julian, also fenced well and took silver and bronze in Y8 – good job boys! 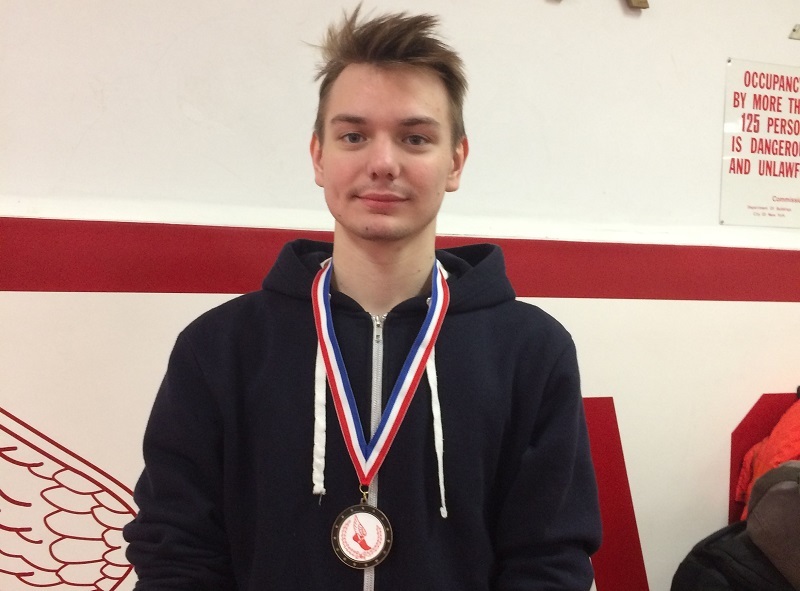 Daniel Gaidar – Gold in Y14, Silver in U17 and D2017! 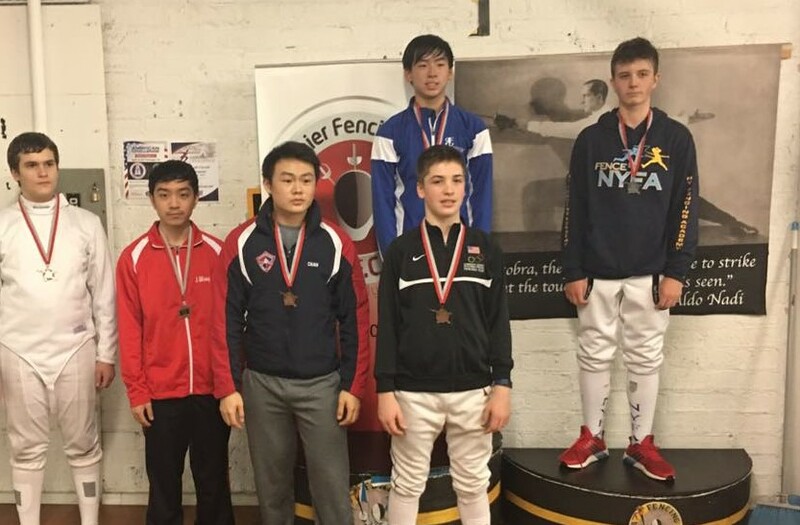 Congratulations also to Anton Chmut for making top 8 at the NYAC Mercury Cup open only to A and B rated fencers.